Before experience occurs in the world around us, it develops in patterns of light beyond time and space. 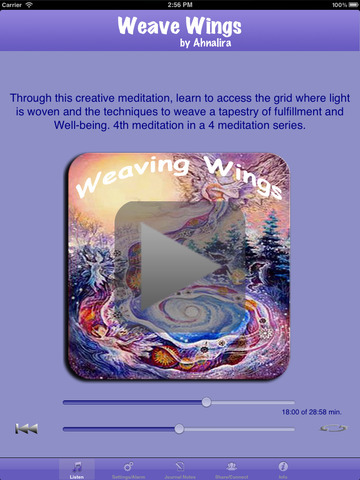 Through this creative meditation, learn to access the grid where light is woven and the techniques to weave a tapestry of fulfillment and Well-being. Developing the ability to focus in the subtle refined levels of awareness, this leading edge meditation explores conscious creation. 4th meditation in a 4 part guided meditation series. •Use this meditation as a wake-up alarm, to start the day aligned into the well-being of an open and relaxed state. 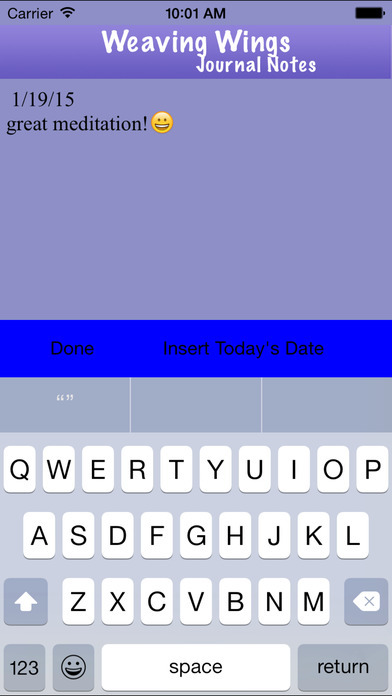 Note: you will need to disable the screen auto-lock for your device under Settings, General, auto-lock, set it to "never". 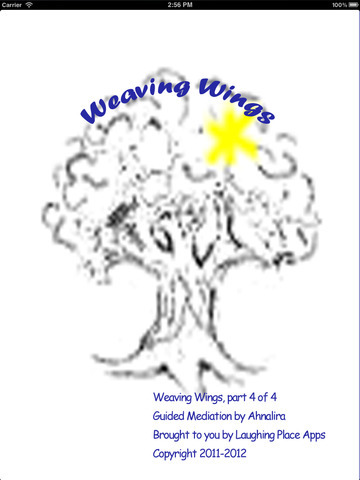 •The Weaving Wings guided meditation also includes a Notes Journal to write down immediate insights upon completion of the guided meditation or awakening. Ahnalira’s training as a Meditation Teacher with Sanaya Roman and Duane Packer ensures a high quality guided meditation; her instructions are easy to follow, and the quality of her voice enhances relaxation. 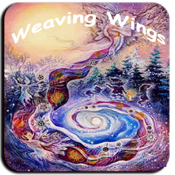 Weave Wings is the 4th meditation in the series of 4 and builds upon the practices in the previous meditations: "Relax and Open", "Harmonize", and "Clarify and Integrate".